A recording made in response to a 1962 archival recording of the bells of All Saints Church, Great Chesterford. Listening to the above recording, and reading the text that the bells in the church are ‘unplayable’, asks a few questions of this recording. 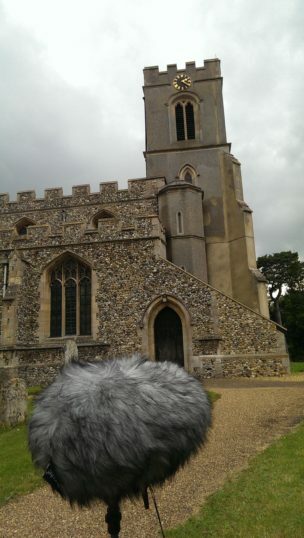 I know ‘half past two’ isn’t the best time to record church bells (see Foxearth and Finchingfield recordings) as the compliment here isn’t too revealing, but they definitely sounded like bells to me. As opposed to a recording of bells. So, maybe some restorative work has been done recently? Or perhaps the old bells are rung in spite of the warning that they shouldn’t be. Who would know the answer? Maybe someone driving on the M11, which you can hear in the background.